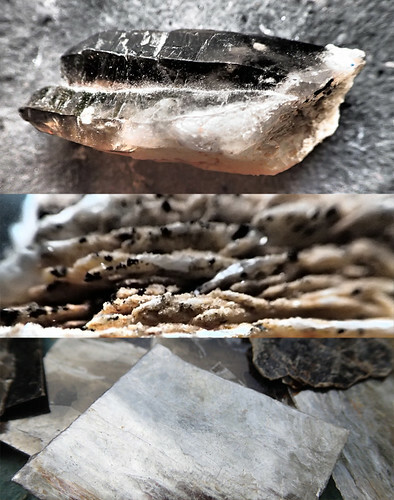 A selection of macros of various rocks and minerals, all taken with my little point ‘n shoot. Point ‘n shoots are terrifically good at macro images although their depth of field is often puzzling, and, if the camera doesn’t want to focus, there is absolutely no way of forcing it to! 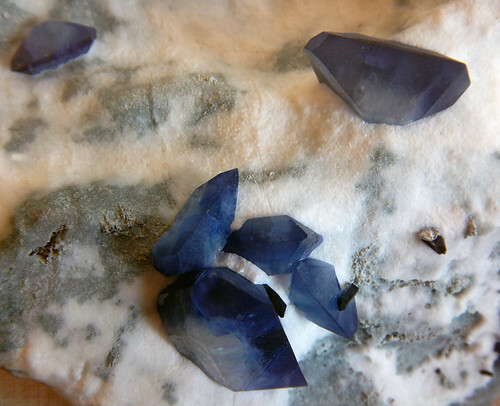 Smoky blue Kyanite crystal in the Copenhagen Natural History Museum, Denmark. Macro of coral rock with black crystals embedded. 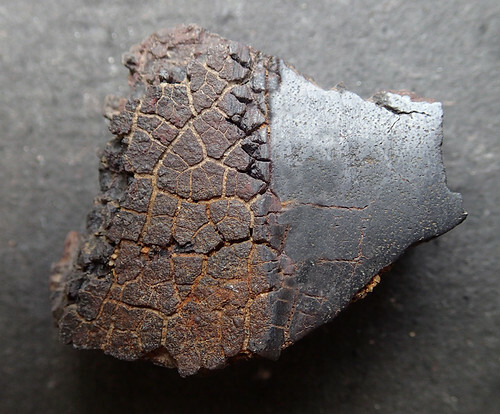 This chunk of hematite (aka Black Diamond) rock in the Cardiff Natural History Museum shows off its metallic lustre, although the lighting has rendered its normal charcoal colouring into intriguing shades of brown and green. 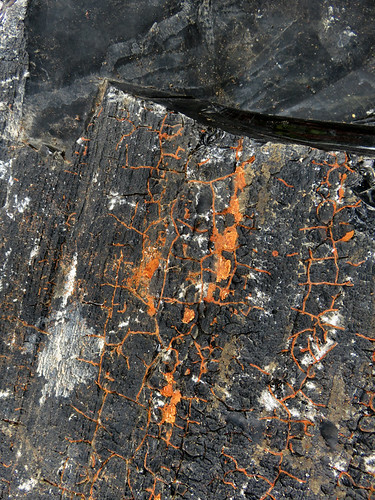 Obsidian rock, looking very volcanic, in the Puerto Vallarta Botanical Garden. 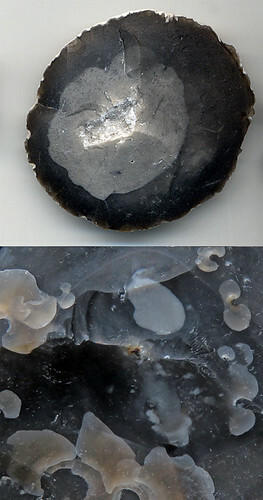 Circle of flint with an unusual mass of crystals in the centre. 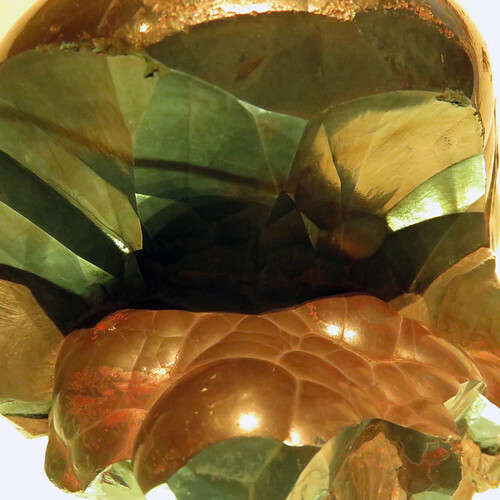 Here I combined it with a macro that shows the translucent nature and circular fractures of flint. A rock from my dad’s rock collection labelled Chalcopyrite. 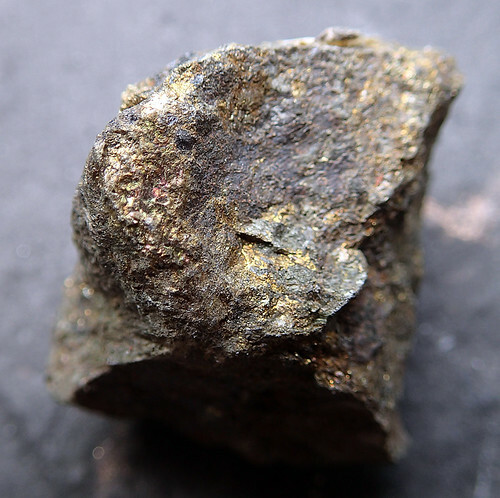 This rock could easily be mistaken for gold; thus its other name of Fool’s Gold. 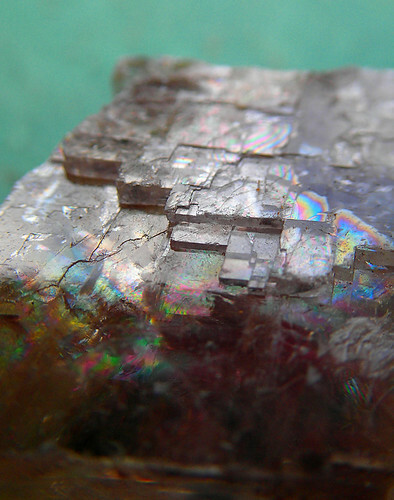 Cubic crystal with rainbows. 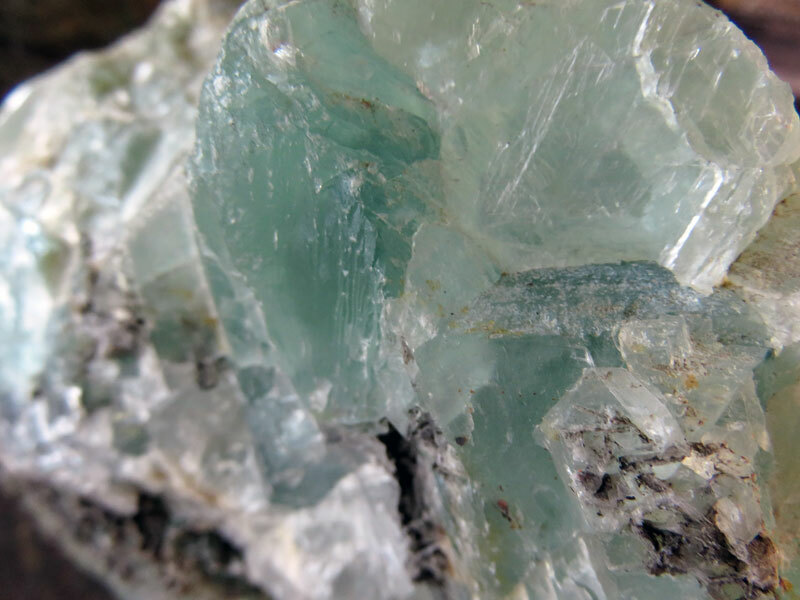 I believe it to be Halide aka simple rock salt – who knew salt could be so stunning up close? Three rocks from my dad’s collection combined into one image. The bottom image is of sheets of mica; the other two weren’t labelled and I haven’t been able to identify them; the middle one is possibly Barite and the top a mix of Rose and Smokey Quartz if there is such a thing. I call this combo Dark Crystal. Macro of a cracked crusty rock in Dad’s rock collection labeled ‘Fusion Crust’. Ryan Photography’s Photo for the Week: Macro. Cee’s Fun Foto Challenge: Macro. I love your challenges, they almost always seem to come up with something I’ve been working on! Great entry for this week. My favorite is the black diamond. Isn’t it beautiful? 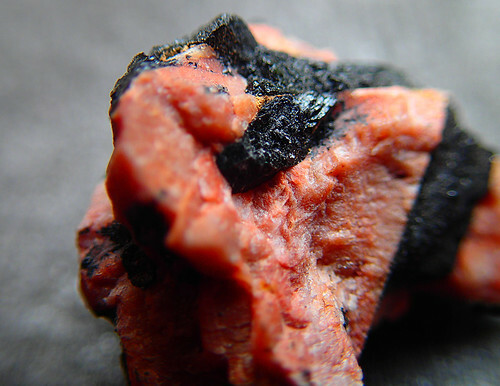 Hematite is often magnetized and used for healing as well, an all-round great stone. It looks like you won’t have to look far for a B&W rock photo for Cee’s challenge next Thursday. Or even this week as in Depth of ‘Field’! Amazing pictures (again!) Elizabeth! Did you have to do a lot of photo editing?